SOME GREAT PRODUCTS FEATURING THIS QUOTE! What a great quote Athena! A cat's love is unconditional! Great quote from your mom and very true. 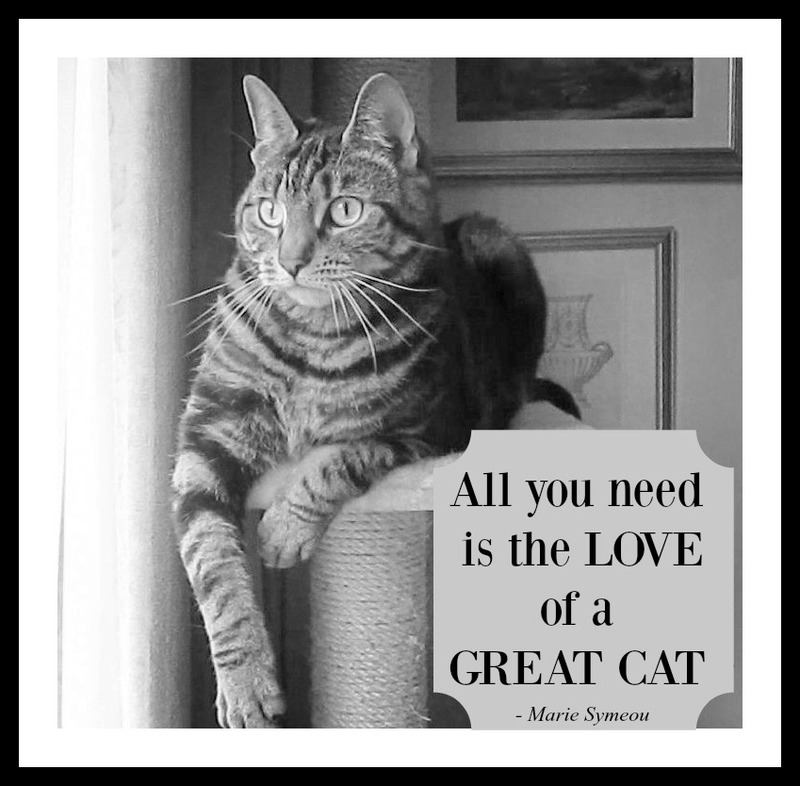 ....or two or three or four great cats! My human is not much of a people person either. I'm a people kitty, though! So when we go on our therapy visits, she leaves all the work to me. I don't mind! We agree! There's nothing better. I'm glad that you and your mum have each other, Athena! Relationships with other humans are much more difficult than one with a cat. Kitties hold a special place in the hearts of those who love them! My kitties mean a lot to me too. I couldn't love them more!